“There are few producers on the drum’n’bass scene who are as respected and revered as Dillinja. With his trademark combination of dirty stomach-churning basslines and tighter than tight beats, his reputation has been secured as one of the most influential producers in drum’n’bass history, as well as one of the scene’s most called-upon remixers, having worked with everyone from David Bowie to Bjork and Basement Jaxx. A true connoisseur of sound, Dillinja’s mighty 96k Valve Sound System is recognised the world over as being second to none. As well as his own label, Dillinja went on to record for many other drum’n’bass labels, including Bryan Gee and Jumpin’ Jack Frost’s V Recordings and Philly Blunt labels, Hardleaders, Prototype and Goldie’s pioneering Metalheadz imprint. Dillinja used these labels to show his unique musical versatility; while labels such as Philly Blunt and Lionheart Records showcased some of Dillinja’s more raw jungle based sounds. 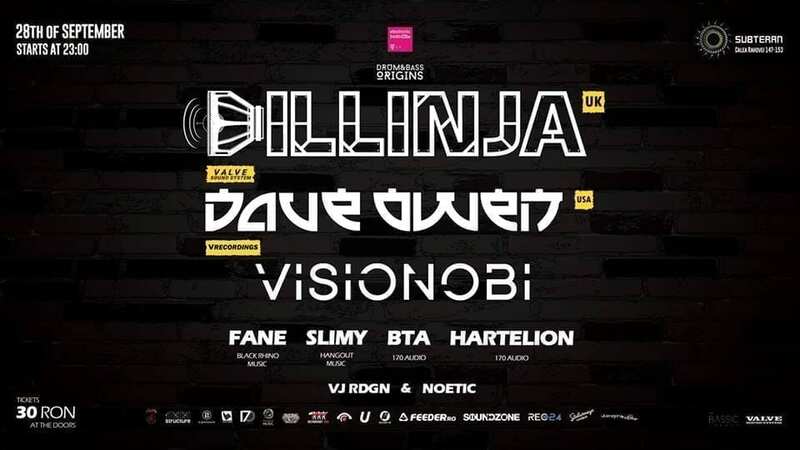 It is this fusion of dark basslines and tightly produced beats that has become Dillinja’s trademark sound today, a sound that has resulted in Dillinja being called to remix for the likes of David Bowie, Bjork, Faith No More, Soul II Soul, Basement Jaxx, Amon Tobin, Artful Dodger and Jeru the Damaja. The various aliases under which he has recorded include Trinity, Capone, Cybotron and The Specialist.